Home / Entertainment News, Featured Articles, Videos / Shame on you, si ungetumia CONDOM- SONKO tells OBADO and calls for his arrest over SHARON’s death (VIDEO). Shame on you, si ungetumia CONDOM- SONKO tells OBADO and calls for his arrest over SHARON’s death (VIDEO). Sunday, September 9, 2018-Nairobi Governor, Mike Sonko, has called for the arrest for Migori Governor, Okoth Obado, over the death of 26 yr old University lady, Sharon Otieno. According to Sonko, Obado is yet to be arrested yet there are all indications that he is the one behind the death of the young lady. Sonko questioned Obado why he didn’t use a condom if at all he knew that he would not take care of her pregnancy. 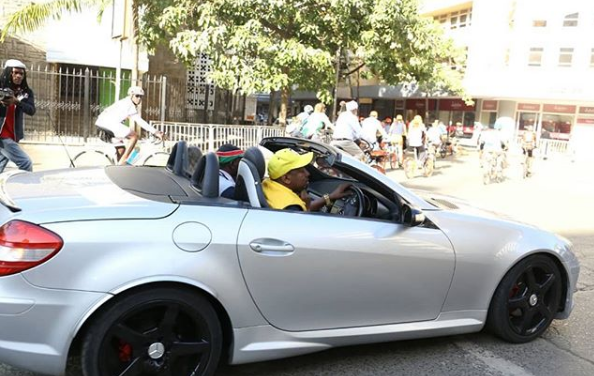 “Shame on you, si ungetumia condom.”Sonko threw jabs at Obado. The Governor had told Sharon to terminate the pregnancy but she refused. She was killed in cold blood after being lured to death by Okoth Obado’s PA. Here is a video of Sonko calling for Okoth Obado’s arrest and calling him a murderer.